Prentiss-Lucas Hall, more commonly known as P-L, is a great place to live. Prentiss and Lucas are separate buildings connected by a common lobby and lower level. The buildings are exact mirrors of each other in respect to their floor and room layouts. 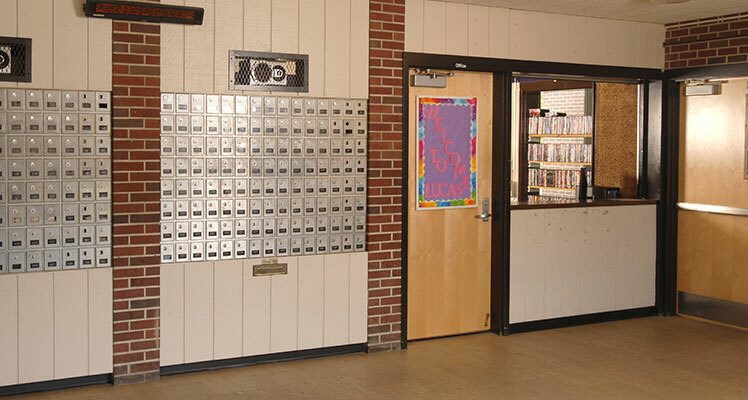 P-L is a co-ed residence halls and houses approximately 400 students, most of which are first-year students. The majority of the rooms in P-L are double occupancy rooms. 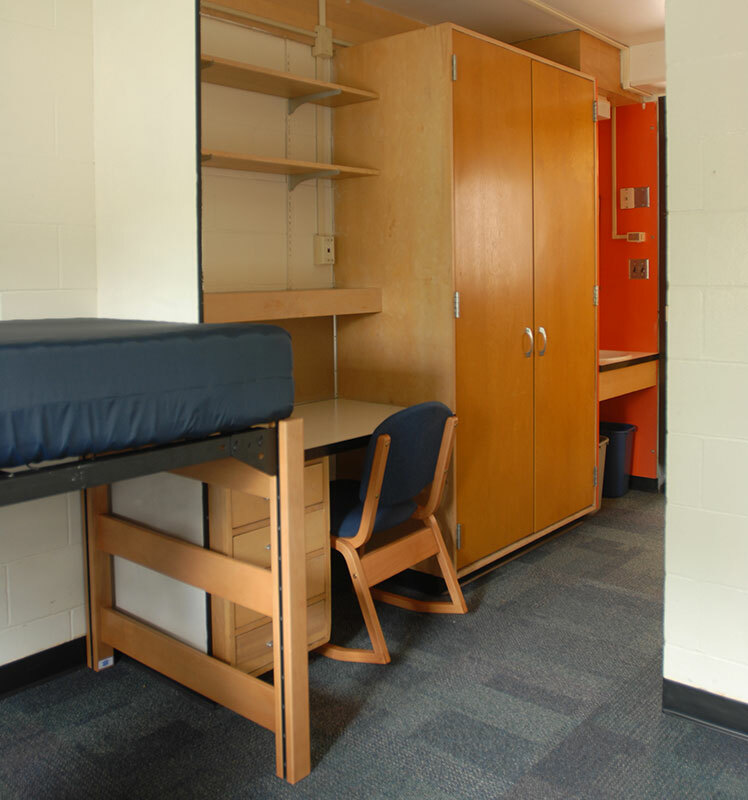 Each room is furnished with an XL-twin bed and mattress, a built-in wardrobe and desk, and a desk chair for each student. 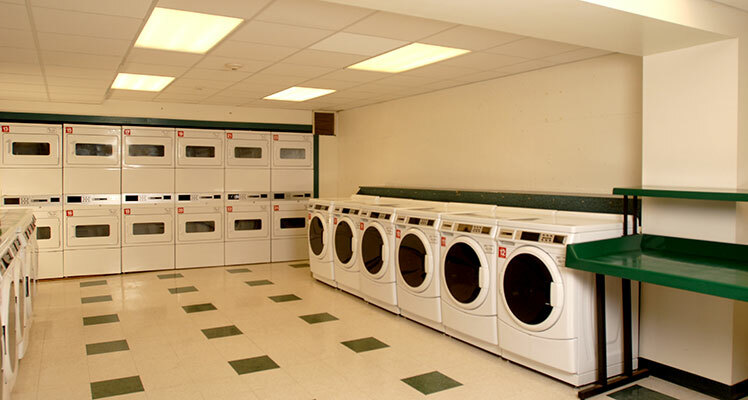 In addition, all rooms have carpet, a sink/vanity area, and a trash can and recycling bin. Window coverings are also provided. 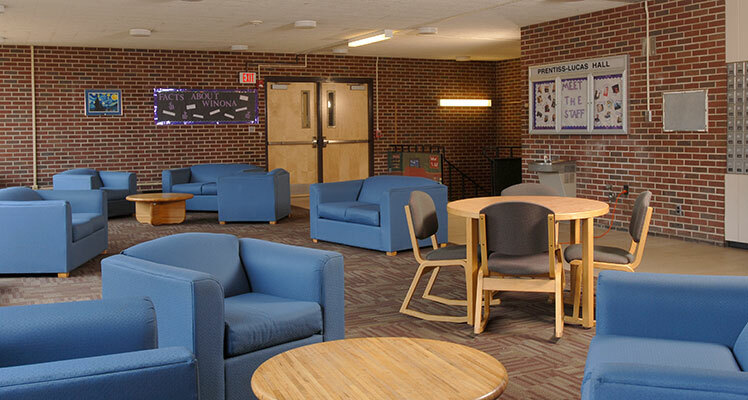 The lobby area is a great place to socialize and interact. With a great view of the sand volleyball court and a very central location, many residents spend their time with friends in the lobby. 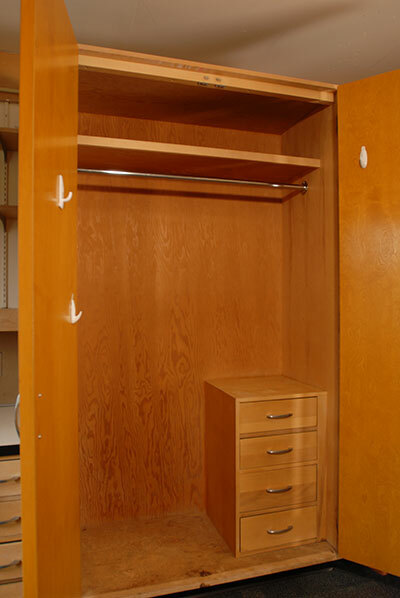 Mailboxes for each room are also located in the lobby, along with a slot for sending mail. The Front Desk is staffed by students who are trained on residence hall and campus to be a resource for students. Residents can check out many items at the P-L Front Desk including: kitchen equipment, games, tools and movies, etc. There is a sand volleyball court just outside of P-L that is used very often by students. 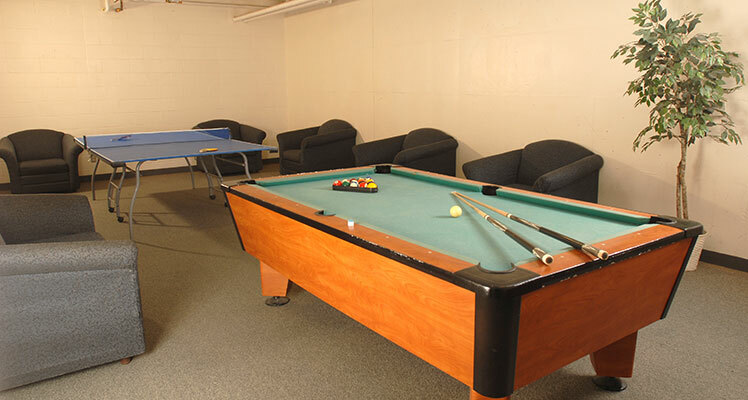 Indoors, students living in Prentiss-Lucas has access to a game room located on the Prentiss side, in the lower level. There is a pool table and table tennis available. Equipment for these activities can be checked out at the P-L Front Desk. 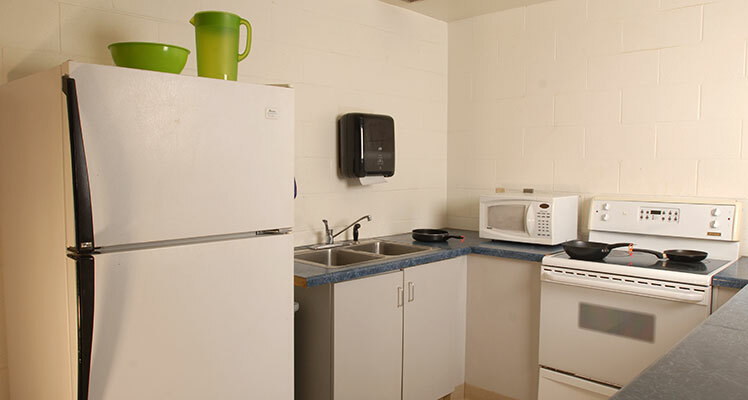 There is a full kitchen located in the lower level of PL for resident to use. There is a microwave, stove, oven, and a refrigerator. 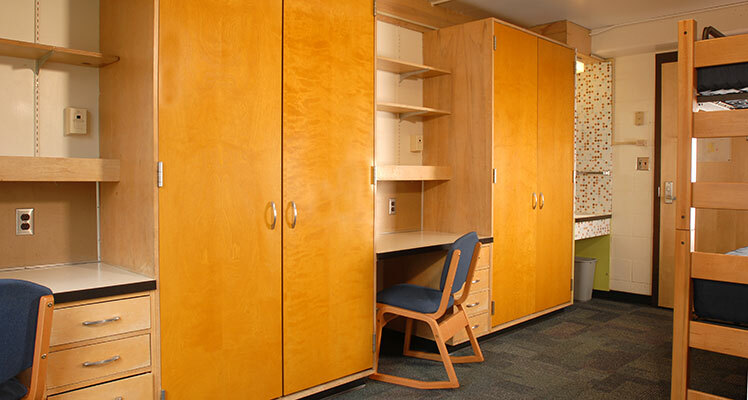 There are also kitchenettes and lounges located on every floor for students to use.